Here we are again, another Monday morning. Did you enjoy your weekends? Here’s a roundup of the Geeky activities we got up to. Well Friday wasn’t Geeky in the slightest, I went out with some friends to the pub and got rather drunk. So we can move on from that to Saturday! Saturday not hungover which is a miracle I went to town with my wife with the intent of buying new clothes for work. I’d been rocking the same shirts and trousers for around 2 years, so figure it was time to up date a little bit. But of course we got side tracked and ended up in CEX. With some of the remainder of my birthday money I buffered up the animated DVD collection and picked up 2 new Blu-Ray’s. I Picked up Toy Story 3, Monsters Inc, How to train your dragon 1 & 2 on DVD and American Hustle and Anchorman 2 on Blu-Ray for the grand total of £24. Bargain. MGS is open world on missions, but there is also a “mission zone” which makes sense I guess. Well mission 11 I died on 3 or 4 times in the process, each time dying I would be restarted from the beginning of the mission which was pretty frustrating as on some instances of dying I was about ¾ of the way through the mission. Anyways eventually I get to the final part of the mission, and you have to out run a Metal Gear prototype and hide / avoid it. you need to call a chopper to come in and pick you up with the target you’ve captured. So I’m out running this Metal gear frantically, with the target on my horse back. I get so far then the screen goes blurry and a voice message comes up “Snake you’re about to leave the mission zone, if you do that you abort the mission”… I panic and try to stop my horse, only to not stop in time and break the mission zone barrier, and get a message saying “mission abort confirmed, we’ll try again next time” or something to that effect, then the Metal gear thing that was chasing me disappears and my captured target on my horse isn’t there anymore. So I’m fuming… like shaking the controller fuming. I press retry from check point and low and behold its right back at the start of the mission (the same mission I had died 3-4 times previously) so It was a case of “f**k this, f**k that, f**k everything” and I didn’t play it again all weekend. As for Sunday I went over to a friends house to watch the Italian F1, from there back home I watched Monsters Inc and Anchor Man 2 with my wife. I’ll pick up MGS5 again this week no doubt, I just needed a little time to relax and get the anger out of me. I picked up the season pass for Life is Strange a week or so back because it was on sale, and after playing and finishing the first episode I really wanted to play more of it. I’ve now completed episode two – Out of Time. Episode two sees Max and Cloe experimenting with Max’s powers a little more, with Cloe wanting Max to show off to her with them and prove that she has her powers by predicting little things happening. Up to now the game hasn’t really been throwing too many tough choices or difficult situations my way and then out of know where the end of episode two has a huge situation for you to face, one that if you mess up has some pretty big repercussions. I’m not going to say what it was because it would be a huge spoiler, but I will say that I was not prepared for it at all, and I was really worried I would mess it up, thankfully it ended well for me. 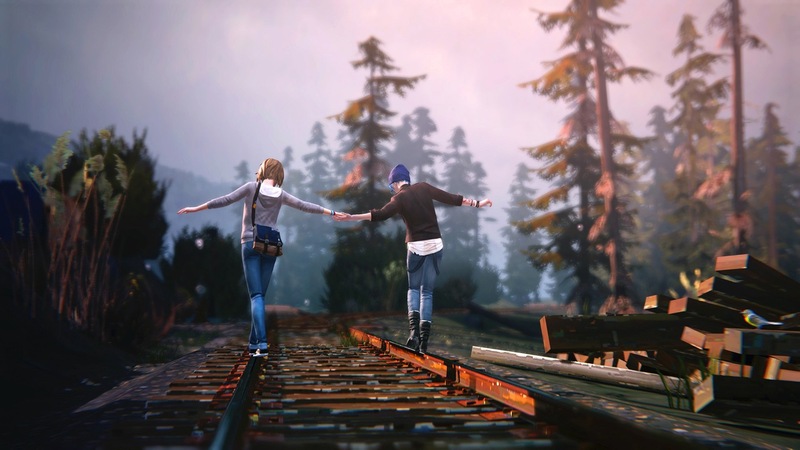 Life is Strange is really turning out to be a bit of a sleeper hit for me. Sure I’ve wanted to play it for a while, but I wasn’t really expecting too much from it. But so far both episodes have been great and I’m really looking forward to seeing where the rest of the episodes will go. I’ve also got back in to playing Halo: MCC this week – I think it was because of the new trailer that was released for Halo 5. It just got me wanting to play it. It’s actually been quite a few months since I played Halo online. So I decided to start with some of the easier, more fun modes. So I’ve been playing a lot of infection. If you don’t know what infection is – firstly, where have you been? Secondly it’s basically a survival type mode where you and 9 other players have to survive as long as possible against two infected players, if you get killed you become infected. The last man standing wins basically. It’s a lot of fun and offers up some satisfying instant action without being too challenging or frustrating. The anniversary maps look amazing. 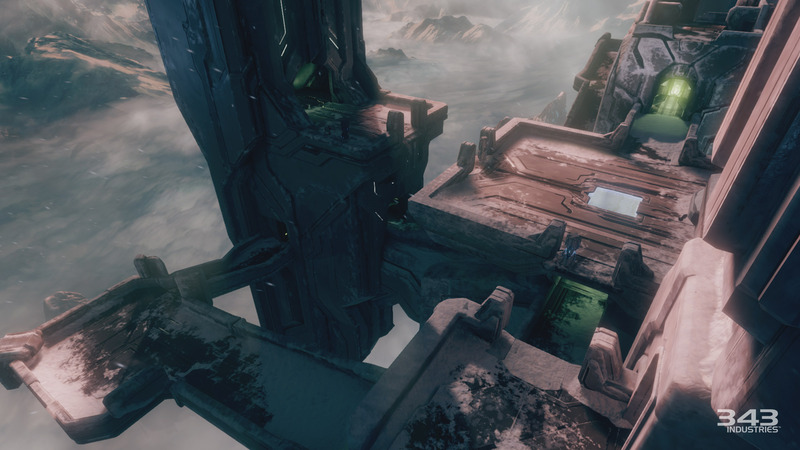 I also decided to try out some Team Slayer on the Halo 2 Anniversary maps. I really, really sucked though. So much so, that I felt a little embarrassed. Clearly all this time away from Halo has not been good for me. I think I finished one game with 2 kills and I dread to think how many deaths. I feel like I need to issue an apology to my team mates as I’m sure they were cursing me. I did improve slightly though, and by the time I’d played a few games I was getting back in to it, and was mostly able to hold my own. Needless to say I really need to brush up on my Halo skills if I want to be any good by the time Halo 5: Guardians comes along. The new update for Destiny drops this week in preparation for The Taken King. It’s bringing a lot of changes and the chance to try out the new maps and multiplayer modes for free. Check them out here. We were expecting a large sales split, but perhaps not this large. MGSV PS4 and XboxOne sales split was 72% for PS4 and 22% for XboxOne (3%PS3, 2% X360). It jumped straight to number one in the sales chart and was the 3rd biggest opening sales week in the UK behind Arkham Knight and Witcher 3.